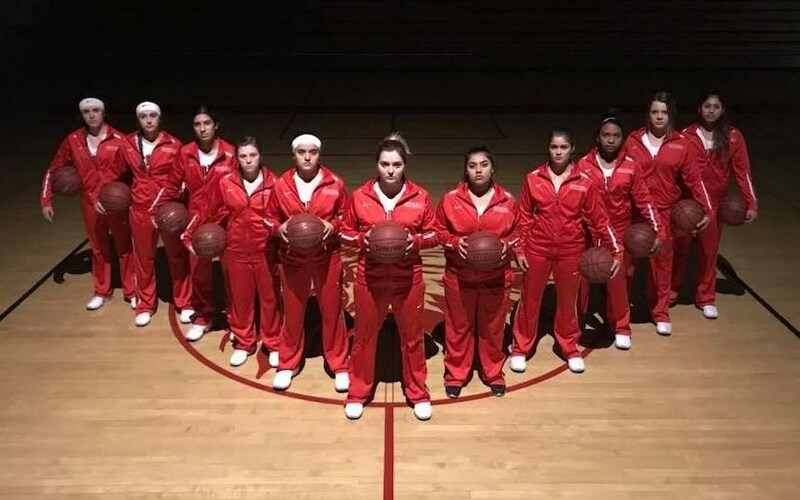 The Varsity Girls Basketball Team were victorious throughout the playoffs and earned a seat at the Valley Championship game on March 2, 2018 at Selland Arena. After four hard fought quarters against Firebaugh, CUHS brought home the championship. This is the first time since 1987 that CUHS has won that title. Fantastic job ladies! And good luck in the State Playoffs. 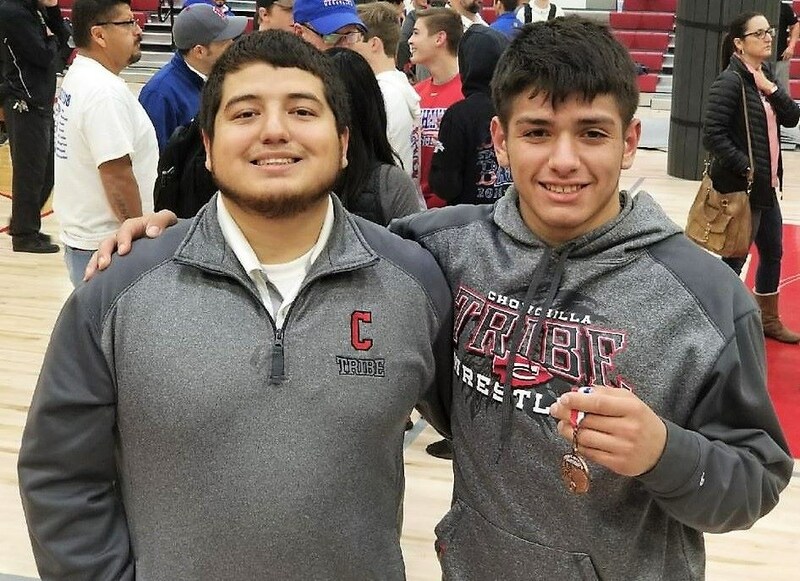 Congratulations to Luciano Manzo for qualifying to the 2018 CIF Boys State Wrestling Championships. Luciano is now a three-time NSL champion, placing 4th at Valley and 8th at Masters. Luciano (R) is pictured here with Asst. Coach Danny Romero. Congratulations and good luck to Luciano! Congratulations to Andy Rios, CUHS alumni Class of 2015, for being named 3rd Team All-Far West Region all star team. Rios is a defender on the San Jose State Spartans men's soccer team. Click on the link hereto read the article on the San Jose State Spartans website. Congratulations to our boys cross country team on winning the D5 Valley Championship today!!! Also congratulations to Paulina Granados on placing 3rd at the Valley Championship. 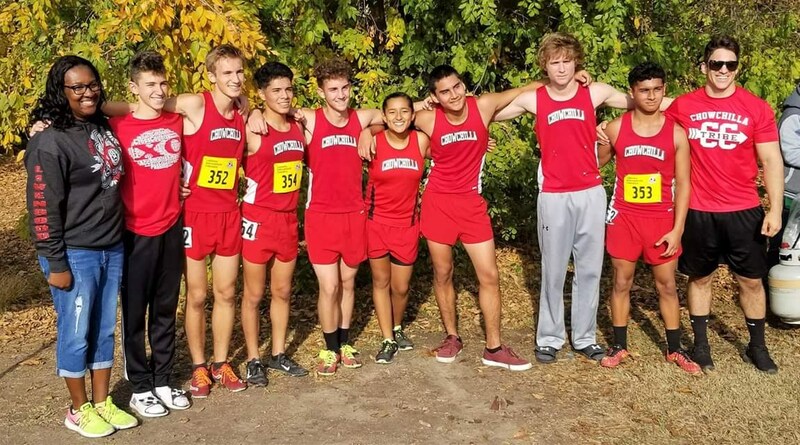 Our boys team and Paulina will represent Chowchilla High school next week November 25 at the State Cross Country Championship!! Three athletes signed their National Letter of Intent to continue their education and to also play athletics at their respective colleges. 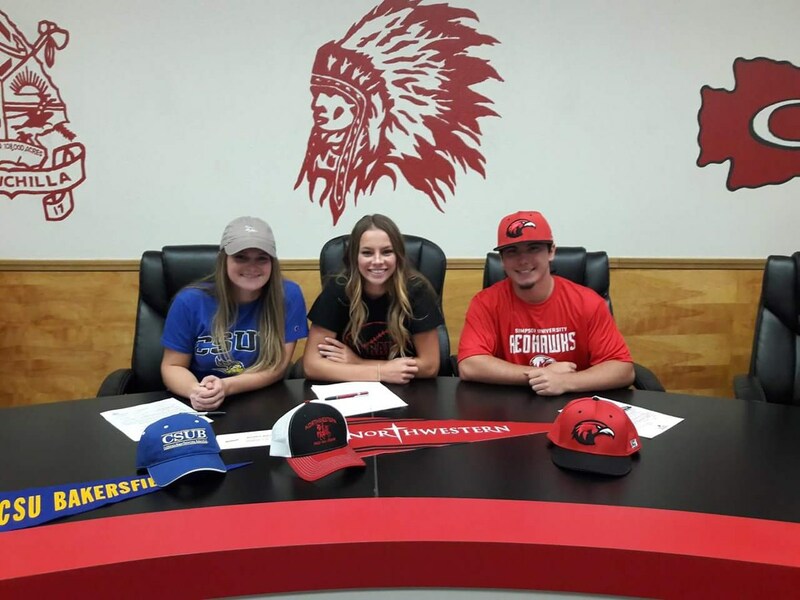 Avery Fitch will be attending CSU Bakersfield, Allison Tomlinson will attend Northwestern College, and Logan Gomes will attend Simpson University!! If you see these athletes, please congratulate them on this major accomplishment. Congratulations to Claire Wright on her performance at the Girls Golf Championships! 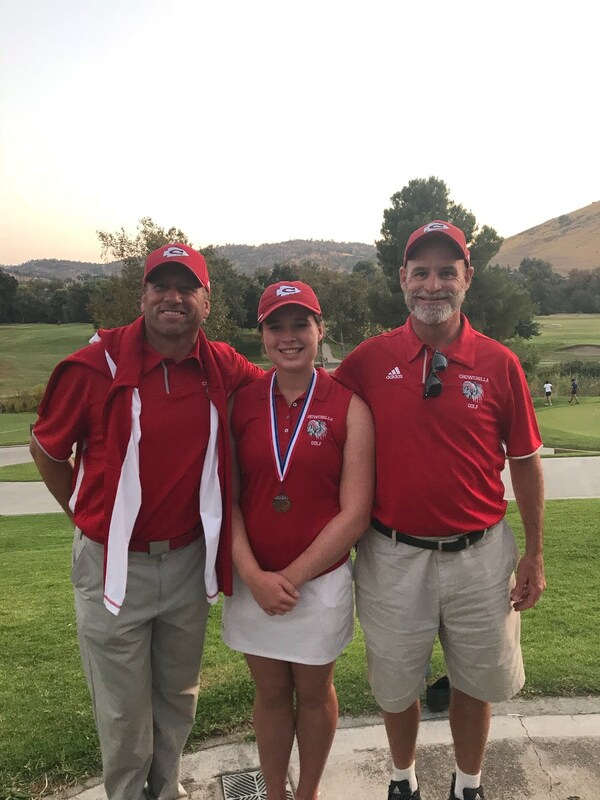 This championship had athletes from Division 1-5 and Claire placed 5th in the Valley and qualified to play in the SoCal Regional Golf championship! This is a Major accomplishment and we are very proud of Claire! 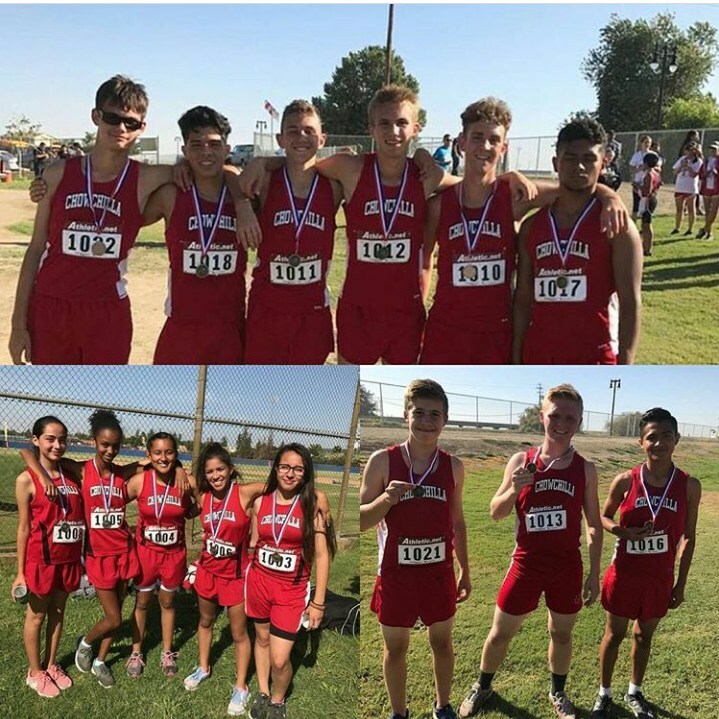 Congratulations to our JV Girls and Varsity boys Cross Country teams on taking First place at the Firebaugh invitational! !